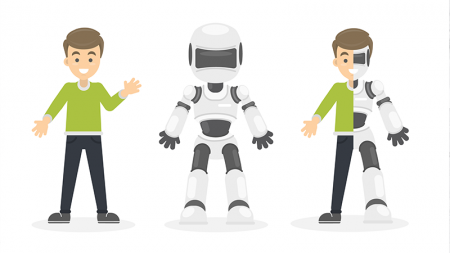 Making friends with Contact Centre Chatbots – It’s suggested that we make friends with Chatbots because they never sleep. What else could they help you with? So, now you’re ready to make friends with a Chatbot, your ‘always on’ customer assistant will need to be fed and watered to achieve its potential to add value to your customers, your agents and your business. If you don’t get it right by choosing the Chatbot’s tasks carefully you’ll end up with a bad Chatbot rather than a good one. Just like IVR. Important to pick the low skilled, repetitive tasks and leave intelligence to human agents. People will still be needed for the more complex and intelligence driven enquiries. Simple, easy, repetitive tasks are ideal for chatbots. You can go one step further and set up a Chatbot for specific tasks such as updating addresses, validating customer details, balance enquiries, payments or updating personal data. By doing this you can soon see which are your hardest working bots, and whether there are areas in that bot that can be used to improve others. There’s nothing more frustrating that ending up in some interminable loop that you just can’t seem to get out of without hanging up. It drives us mad and doesn’t encourage us to come back. So your chatbot needs to be able to let your customers out when they want to escape. Your chatbot therefore needs to recognise when it has reached a certain point in the interaction when needs to handover to a live agent or offer a call back to help the customer get to their desired destination. By the time the customer gets to a live agent they could have been validated, had some of the routine questions answered, be more up to date on their query status and be ready for a deeper, more human interaction to complete the engagement. In the handover to a human agent the Chatbot can display the engagement history so the agent doesn’t have to ask all the same questions again – something else that drives us all mad. Apart from delighting the customer and potentially increasing sales this tandem working actually raises the profile of live agents who are no more than machines and offer real value, intelligence and practical advice, information or assistance in completing a transaction. As with any fluid process it can work both ways and sometimes the agent may handover to a bot to complete an engagement in a different order. Let your chatbot be open, friendly and fun. But be thoughtful at the same time. This way you’ll grab your customers’ attention and they’ll start to make friends. Avatars can really help here as we’re all getting used to seeing them online and in the cinema. This makes it easier and more comfortable to engage with them so it provides a more personal experience. If you’re going to make this work seamlessly then you can’t have different systems with different ways of operating and perhaps even problems integrating with other systems. What you need is a single console from which to operate your Chatbot and allow you to add other Omni-Channel engagement tools as you’re ready – such as live chat, call back, co-browsing or social media monitoring to name a few. Be the first to comment on "Ready to Make Friends with Contact Centre Chatbots?"